Many young adults enter the “real world” lacking the proper knowledge in financial literacy. The following information will assist with setting up and understanding the features and benefits of student checking accounts more clearly. What Can a Checking Account do for You? A checking account offers easy accessibility to your money anytime, anywhere and it also helps keep your cash secure – often times through use of a debit card. A debit card is a card that grants you electronic access to the money in your account, which is often referred to as a check card. You may also receive checks to make purchases or pay bills from your checking account. This makes it easier to spend and receive money without carrying cash. Checking accounts are also important for building credit, which you will need to make major purchases such as a car or a house in the future. A great checking account option for students is Student Checking. The perks of Student Checking accounts vary among financial institutions, but many include free checks, free ATM usage, and better loan rates. Get all of your personal documents together. You will have to prove that you are who you say you are, to open an account. Make sure you have the proper identification such as a driver’s license, photo I.D. card, and Social Security card. Know what services your credit union or financial institution offers. Does the institution provide online banking and bill pay? What fees (if any) does the account charge? Look for branch and ATM locations. When choosing a financial institution, it’s a good idea to check for locations near your home, job, or school. It’s also a good idea to consider the locations and availability of their ATMs. Be able to identify fraud. Many Americans have been exposed to financial scams as of late, and even more are unable to identify classic red flags. Common fraud attempts include propositions for “educational” investment meetings, or being offered money in exchange for paying a fee or making an initial deposit. Use common sense and be cautious around offers that seem too good to be true. A Debit Card issued instantly in one of our Monmouth or Ocean County branches. Remember that it is important to establish yourself financially as a student. After your schooling is finished, you will begin your search for a career. Understanding your account and personal finance can only help you when you begin this independent stage of life, and First Financial is here to help you every step of the way! + Call or visit a branch to request refund of the first fee incurred. We must receive request within 90 days of date fee is charged in order to be eligible for refund. The eligible fees are NSF, Overdraft, and Courtesy Pay fees. ++ Bill Pay is free as long as 3 bills are paid through Bill Pay each month, otherwise a $6 monthly fee applies. 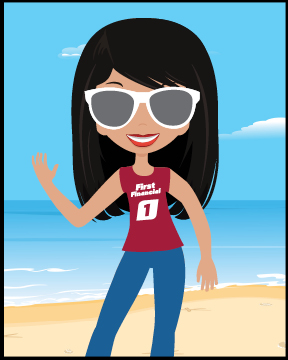 First Financial’s Summer Savings Account is ideal for employees who get paid 10 months out of the year. Members – especially teachers – particularly enjoy this Summer Savings Account because it allows them to have money available for summer expenses during July and August. Not only does the Summer Savings Account offer competitive dividend earnings, our Members have the flexibility to choose the amount of money they would like to have deposited into their Summer Savings Account each pay period through direct deposit or payroll deduction. The Member can elect to have their money transferred into a First Financial Checking Account in two different ways: Either 100% of funds can be transferred on July 1st, or 50% will be transferred July 1st, and the other 50% August 1st. Funds will be easily accessible through an ATM, point-of-sale transaction with instant access debit card, online banking, or by writing a check. Getting started with a Summer Savings account is simple – stop into any branch, or call us at 732.312.1500. It’s never too late to start saving for summer! Get started today with a Summer Savings Account to make your summer more relaxing. Where Can You Still Find Free Checking? At First Financial! Many banks have done away with Free Checking. We keep hearing reports of big banks charging big fees for simple services like checking – or raising the fees they were already charging. One big bank in particular, has decided to begin charging $7 a month to New Jersey residents just for the privilege of having a checking account or writing checks. The fee will decrease to $5 a month if the bank’s customers elect online statements. If these bank customers want to pay $7 to write checks and receive e-statements, we wish them well. Here at First Financial Federal Credit Union, we’ve always believed it’s our privilege that you choose to be a member and that you choose to deposit your money here – whether for checking, savings, or any other purposes. We’re happy to provide you with a variety of checking services including Free Checking, to best meet your lifestyle. The very fact that you do your banking here is good for us and good for you! Of course, it helps that we are owned by you – our members. You tend to do business in a more service-oriented manner when that’s the case. We also think that’s why more and more people are giving credit unions a fresh look. For us, it’s not all about squeezing every last dollar out of people in the form of fees and charges. It’s about serving the best interests of our members – period. So if you’d like completely free checking*, come talk to us. If you’d like to be a member of an organization whose every decision is designed to meet your needs, we’re here for you! There are still places out there like this, and First Financial is proud to be one of them. *A $5 deposit in a base savings account is required for credit union membership prior to opening any other account. All personal memberships are part of the Rewards First program and a $5 per month non-participation fee is charged to the base savings account for memberships not meeting the minimum requirements of the program. Click here to view full Rewards First program details. Accounts for children age 13 and under are excluded from this program. Membership is open to anyone who lives, works, worships or attends school in Monmouth or Ocean Counties in New Jersey. Are usually accepted anywhere a major credit card is – since they will have a VISA or Mastercard logo. Can replace check writing for purchases. Can be used for purchases online. Can be used to get cash back with purchases at grocery stores and some retailers. Can be used to withdraw money at an ATM. Can be used as a credit card (but is withdrawn from a checking account within 5 days). Can be used to withdraw money from an ATM, either from a checking or savings account. Can only be tied to a checking account. Only allow transactions made at ATMs. Cannot be used to make purchases. 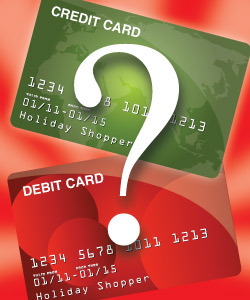 Is a card that is used only to withdraw money from a savings account. If you like the convenience of cash but are not a fan of carrying it or of writing checks, we recommend a debit card. If access to your money at ATMs is a must, but you cannot open a checking account – an ATM card will be your only option. Learn more about First Financial’s First Access Debit Card, with no monthly fees! *Debit Cards are available for First Financial members with Checking Accounts only. A First Financial membership is open to anyone who lives, works, worships, or attends school in Monmouth or Ocean Counties. A $5 deposit in a base savings account is required for credit union membership prior to opening any other account. All personal memberships are part of the Rewards First program and a $5 per month non-participation fee is charged to the base savings account for memberships not meeting the minimum requirements of the program. View full Rewards First program details at firstffcu.com. Accounts for children age 13 and under are excluded from this program. 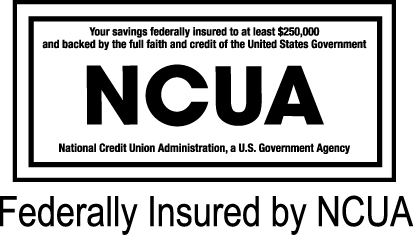 First Financial is Federally Insured by the NCUA. **There is a $3 monthly fee for all ATM Cards and a non-First Financial ATM fee of $2 per transaction for the Silver tier of Rewards First.